One of the most cherished science fiction scenarios is using a black hole as a portal to another dimension or time or universe. That fantasy may be closer to reality than previously imagined. Black holes are perhaps the most mysterious objects in the universe. They are the consequence of gravity crushing a dying star without limit, leading to the formation of a true singularity – which happens when an entire star gets compressed down to a single point yielding an object with infinite density. This dense and hot singularity punches a hole in the fabric of spacetime itself, possibly opening up an opportunity for hyperspace travel. That is, a short cut through spacetime allowing for travel over cosmic scale distances in a short period. Researchers previously thought that any spacecraft attempting to use a black hole as a portal of this type would have to reckon with nature at its worst. The hot and dense singularity would cause the spacecraft to endure a sequence of increasingly uncomfortable tidal stretching and squeezing before being completely vaporized. 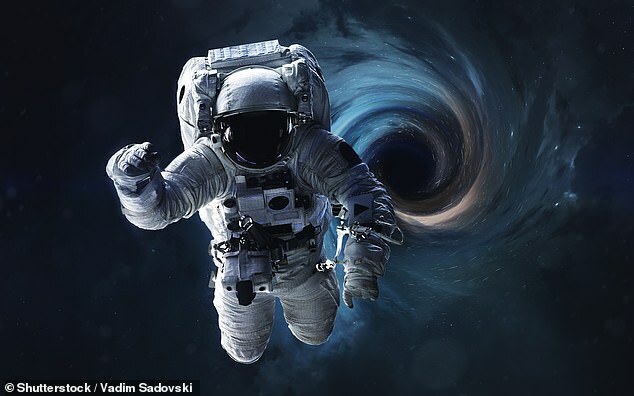 'Interstellar' was based on a book written by Nobel Prize-winning astrophysicist Kip Thorne and Gargantua's physical properties are central to the plot of this Hollywood movie. My team at the University of Massachusetts Dartmouth and a colleague at Georgia Gwinnett College have shown that all black holes are not created equal. If the black hole like Sagittarius A*, located at the center of our own galaxy, is large and rotating, then the outlook for a spacecraft changes dramatically. That's because the singularity that a spacecraft would have to contend with is very gentle and could allow for a very peaceful passage. The reason that this is possible is that the relevant singularity inside a rotating black hole is technically 'weak,' and thus does not damage objects that interact with it. At first, this fact may seem counter intuitive. But one can think of it as analogous to the common experience of quickly passing one's finger through a candle's near 2,000-degree flame, without getting burned. My colleague Lior Burko and I have been investigating the physics of black holes for over two decades. This graph depicts the physical strain on the spacecraft’s steel frame as it plummets into a rotating black hole. The inset shows a detailed zoom-in for very late times. The important thing to note is that the strain increases dramatically close to the black hole, but does not grow indefinitely. Therefore, the spacecraft and its inhabitants may survive the journey. In 2016, my Ph.D. student, Caroline Mallary, inspired by Christopher Nolan's blockbuster film 'Interstellar,' set out to test if Cooper (Matthew McConaughey's character), could survive his fall deep into Gargantua – a fictional, supermassive, rapidly rotating black hole some 100 million times the mass of our sun. 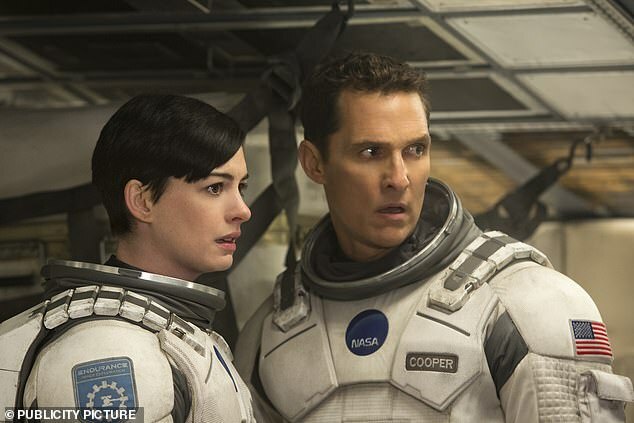 'Interstellar' was based on a book written by Nobel Prize-winning astrophysicist Kip Thorne and Gargantua's physical properties are central to the plot of this Hollywood movie. Building on work done by physicist Amos Ori two decades prior, and armed with her strong computational skills, Mallary built a computer model that would capture most of the essential physical effects on a spacecraft, or any large object, falling into a large, rotating black hole like Sagittarius A*. 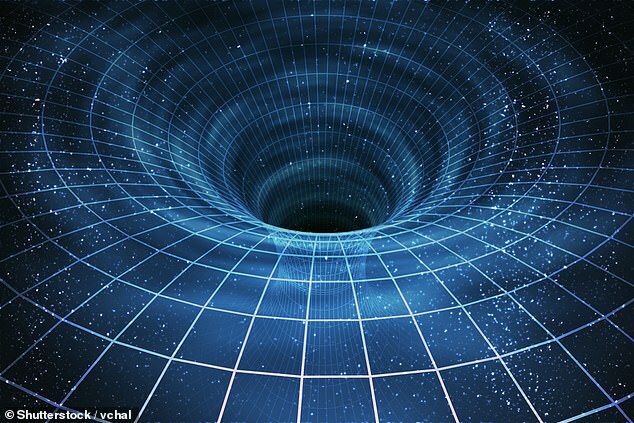 Singularity of massive black hole or wormhole. Researchers previously thought that any spacecraft attempting to use a black hole as a portal of this type would have to reckon with nature at its worst. What she discovered is that under all conditions an object falling into a rotating black hole would not experience infinitely large effects upon passage through the hole's so-called inner horizon singularity. This is the singularity that an object entering a rotating black hole cannot maneuver around or avoid. Not only that, under the right circumstances, these effects may be negligibly small, allowing for a rather comfortable passage through the singularity. In fact, there may no noticeable effects on the falling object at all. This increases the feasibility of using large, rotating black holes as portals for hyperspace travel. Mallary also discovered a feature that was not fully appreciated before: the fact that the effects of the singularity in the context of a rotating black hole would result in rapidly increasing cycles of stretching and squeezing on the spacecraft. But for very large black holes like Gargantua, the strength of this effect would be very small. So, the spacecraft and any individuals on board would not detect it. The crucial point is that these effects do not increase without bound; in fact, they stay finite, even though the stresses on the spacecraft tend to grow indefinitely as it approaches the black hole. There are a few important simplifying assumptions and resulting caveats in the context of Mallary's model. The main assumption is that the black hole under consideration is completely isolated and thus not subject to constant disturbances by a source such as another star in its vicinity or even any falling radiation. While this assumption allows important simplifications, it is worth noting that most black holes are surrounded by cosmic material – dust, gas, radiation. Therefore, a natural extension of Mallary's work would be to perform a similar study in the context of a more realistic astrophysical black hole. Mallary's approach of using a computer simulation to examine the effects of a black hole on an object is very common in the field of black hole physics. Needless to say, we do not have the capability of performing real experiments in or near black holes yet, so scientists resort to theory and simulations to develop an understanding, by making predictions and new discoveries.